Calling it now folks, today will be a rainout! It’s 70 and sunny now but rain is forecasted to start right after we go track hot and continue all afternoon and into the evening. We sure are glad we decided to open Friday for testing! Thank you all for an awesome weekend of racing and we’ll see you next Friday the 2nd for Friday Frenzy and 850 Top Ten list racing! Due to the “R word” forecasted for Sunday we WILL be opening for Friday Frenzy THIS WEEKEND February 23rd! Gates open at 5pm, track hot by 6pm and we run to 11pm. It’s forecasted to be low 70’s and into the high 60’s by late evening, clear skies and no chance of rain! Spread the word, see you tomorrow! 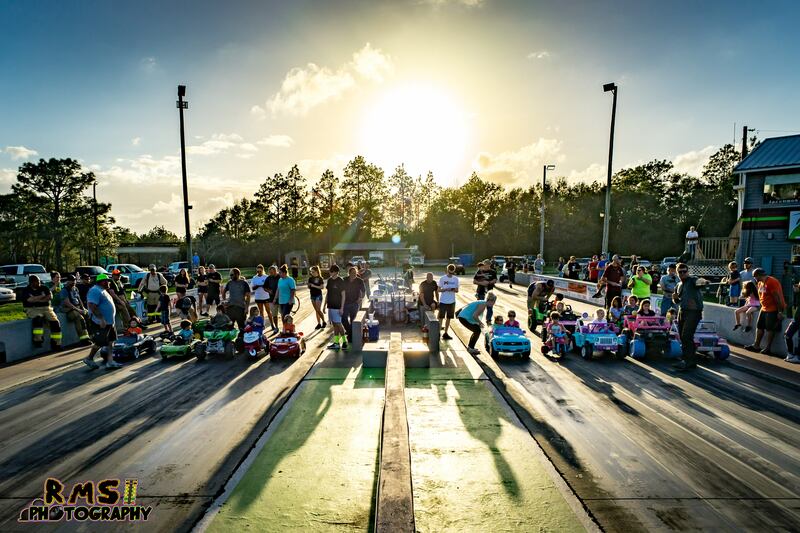 Calling all kids with power wheels, we’ve got something for you this weekend at the Tri County Grudge Fest… Heads up, flash light start, no prep, no time power wheel grudge race! 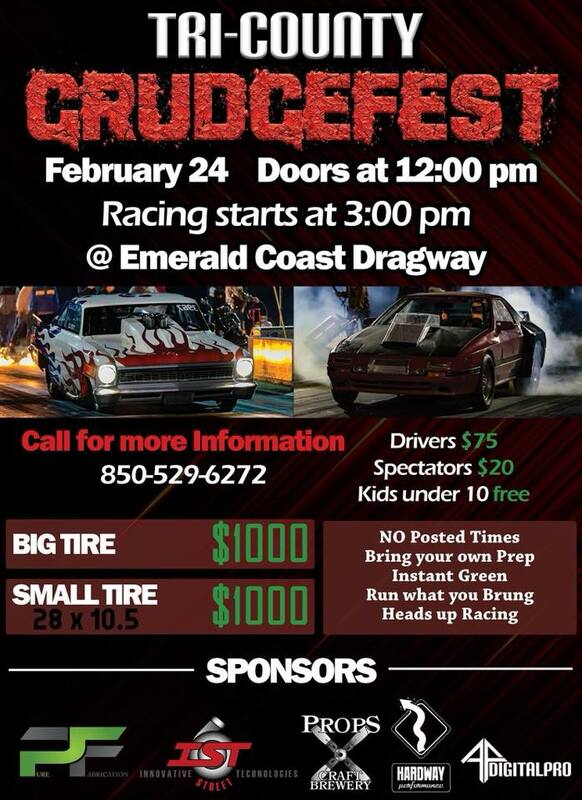 This will be an “all run” field, no entry fee, everyone’s a winner, fastest car gets a little something special as well as a Grudge Fest T-Shirt. Rules are as follows; Kids only, it’s got to be pedal or battery powered only and be a “power wheels” type vehicle. 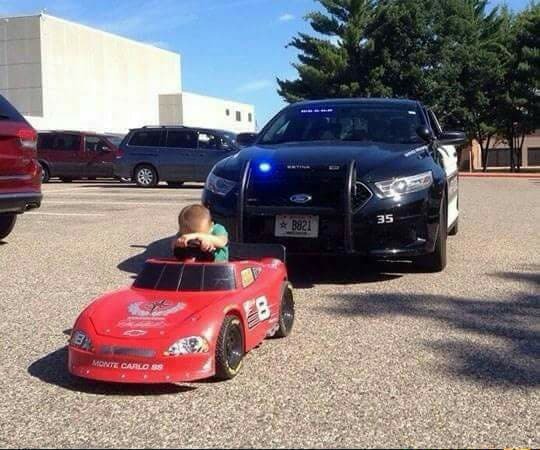 “Stock” cars get to start on the starting line, the big blocks, turbo cars, or power wheels with 5 guns on them have to at least give the kids on the starting line a tire and the move to make it a fair race! This race will go down immediately following the playing of the National Anthem, all racing will be done “off the trailer” with no test passes so bring them ready to race! Closed Feb 16-18, heads up racing on the 24th, Sunday Funday on the 25th! We will be closed the weekend of February 16-18 as a majority of our crew will either be racing at or working at Lights Out 9, hosted by our sister track South Georgia Motorsports park. 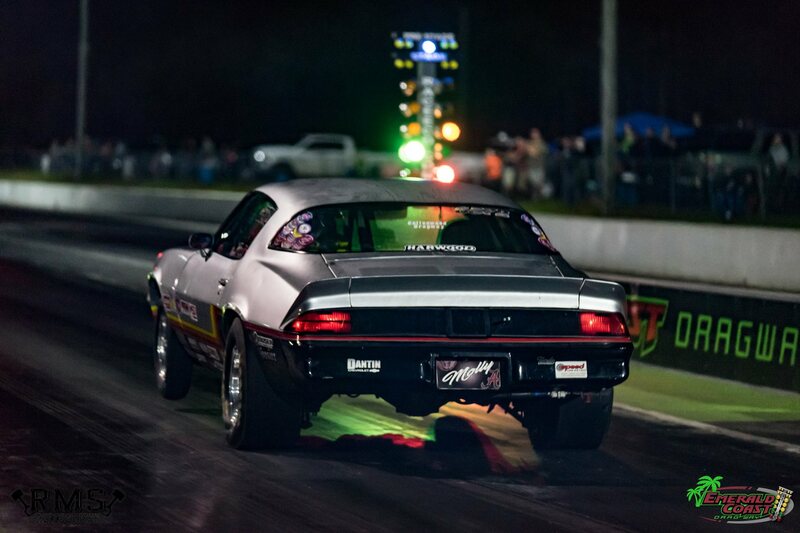 Our next race will be Saturday February 24th, gates open at noon, track hot 1-3 test passes, racing to start at 3pm. Small tire & big tire heads up classes, leaving on an instant green, no times on the boards and no prep down on the track! $20 enter, $30 to test/grudge, $75 to race for a chance at the $1000 purse, kids 12 & under free. The Sunday following the tri-county grudge fest will be our Sunday Funday, an all welcome all run test & tune where it’s $15 to enter, $10 extra to race, as always kids 12 & under are free. Gates open at 11am, track hot by 1pm and we race until 6pm. 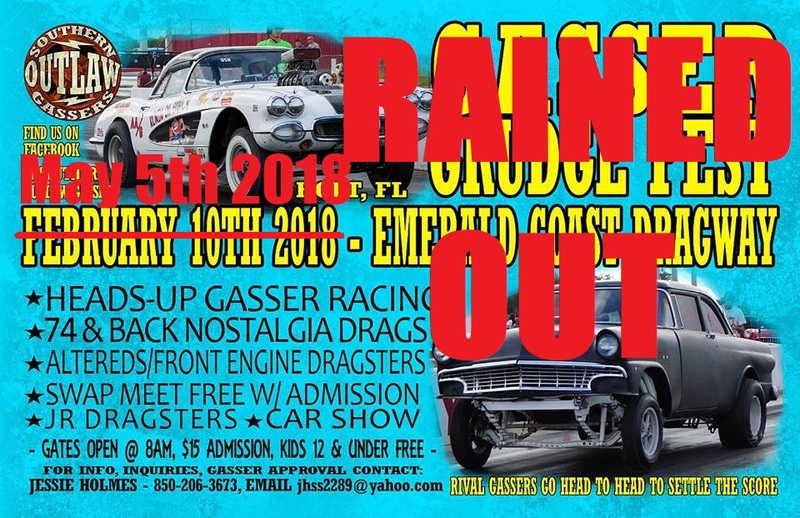 This weekends gasser/nostalgia fest rained out, rescheduled for May 5th! Friday Frenzy for tonight is still a GO, rains aren’t supposed to move in until sometime Saturday morning.